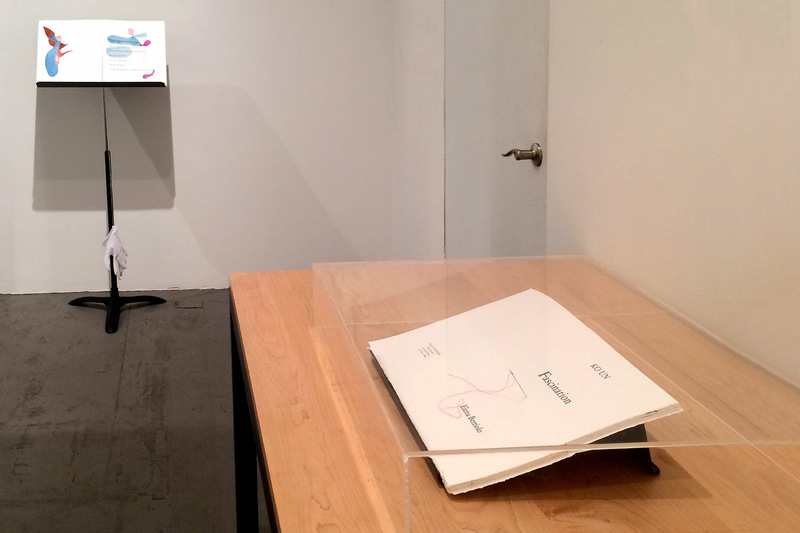 Installation view of FASCINATION: A collaboration between Elena Berriolo and Ko Un at Art Projects International, New York, 2014. 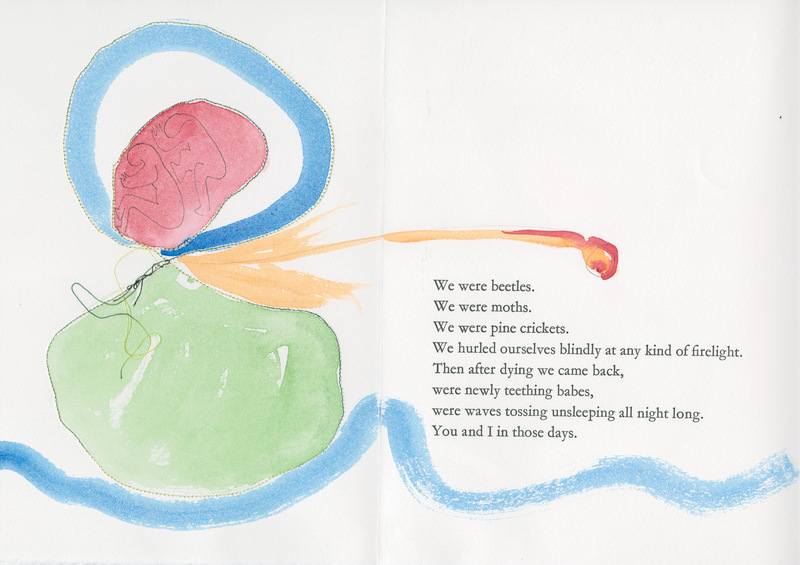 Fascination, a 40-page book by Elena Berriolo and Ko Un. Art Projects International is pleased to announce a presentation of Fascination: A collaboration between Elena Berriolo and Ko Un at the gallery’s Project Space. 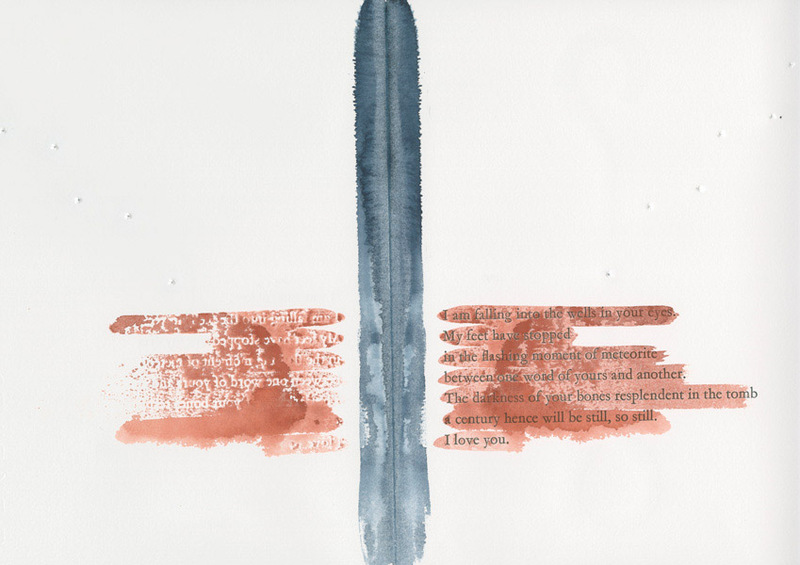 Fascination, a 40-page book issued in 12 copies by Gervais Jassaud for the series Collectif Génération, represents a collaboration between Korean poet Ko Un and Italian-born, New York-based artist Elena Berriolo. The text of Fascination is a selection of Ko Un’s poems translated into English by Lee Sang-Wha and Brother Anthony of Taize. 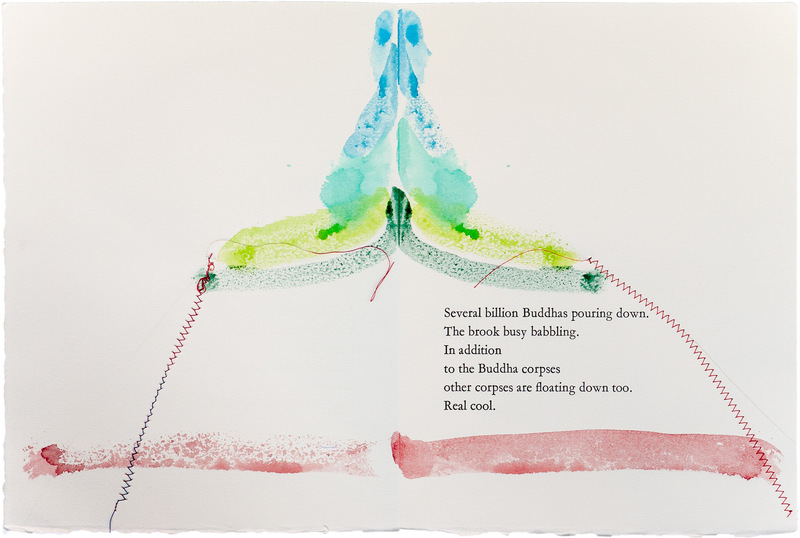 In each copy, Berriolo has worked directly on the pages with sewn lines, perforations, watercolor and ink, responding to Ko Un’s poems with her own visual language. As is always the case with the books of Collectif Génération, no two copies of the book are exactly identical: each copy is the result of the artist’s direct, hands-on engagement and alteration of the printed pages. The first action of the artist on the book was the perforation through the pages with a needle. The hole produced by the needle in every page is the starting point for each drawing. Also, by using the sewing machine, the artist includes both sides of the pages within her lines.